We bought CLASSY, Jan 1st 2016 to be exact. Her not being broke to ride is not of our doing and was not a concern to us as we highly value her pedigree and production potential. 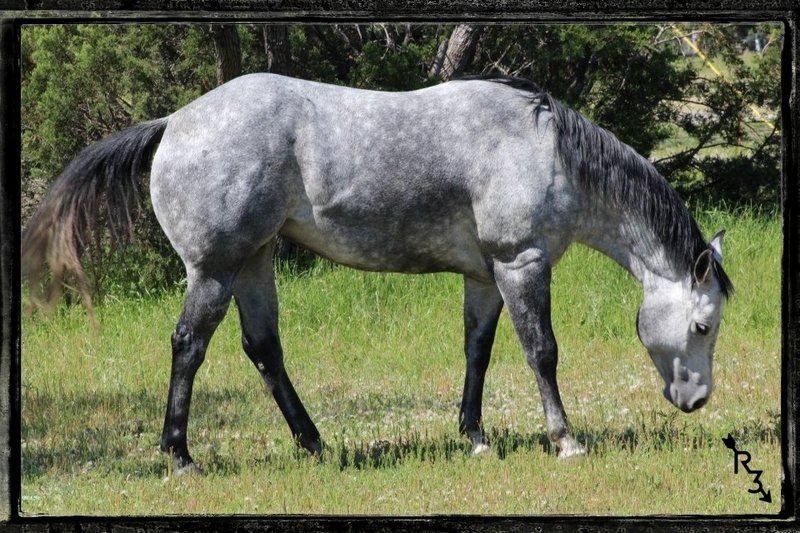 Our plan is to breed her to our ranch bred stallion, Swisher Hancock in the Spring of 2016! This cross is sure to produce a heck of a runner which has the bone to hold up in whatever discipline is chosen. 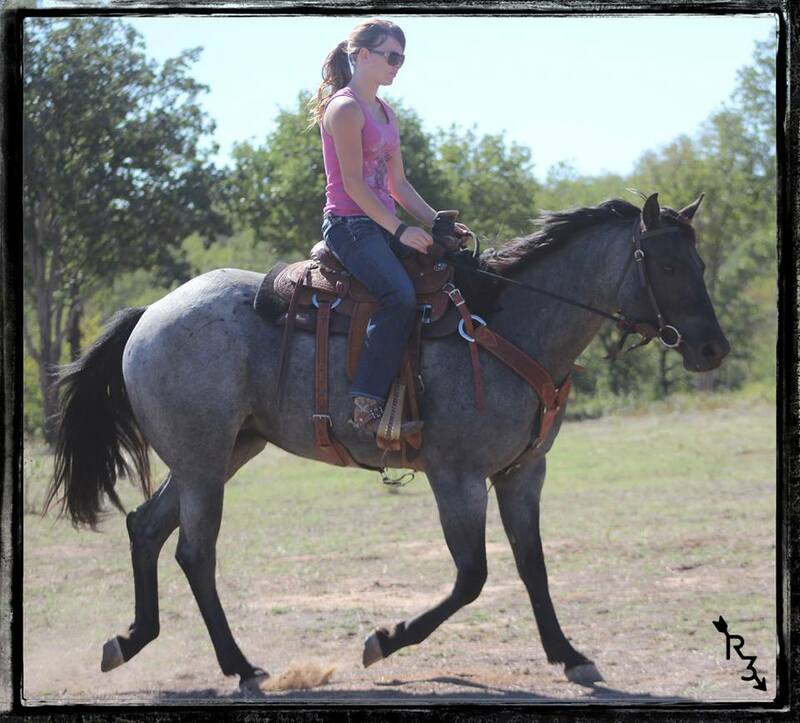 We foresee a barrel racing prospect or a team roping prospect or speed event in general in the makes! Her get, matched with our stallion and placed in the right hands could potentially take you to the bank over and over again. 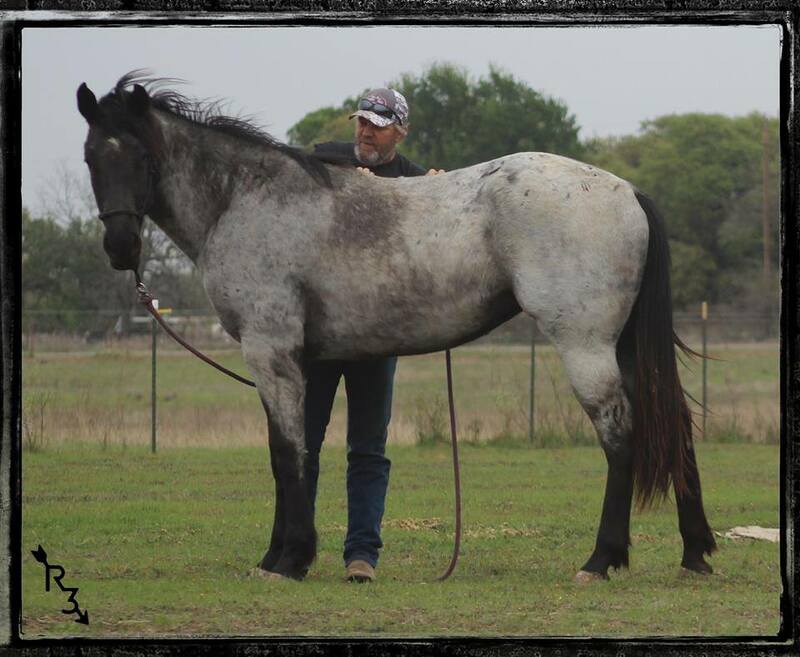 A bonus is that Swisher will always throw his roan gene, so this cross will produce the roan color to boot (37.5% Blue Roan~37.5% Brown Roan~25% Red Roan)! 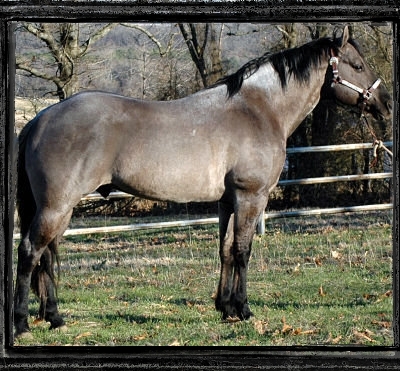 For those of you who do not know what a brown roan looks like, they are blue with a brown nose. 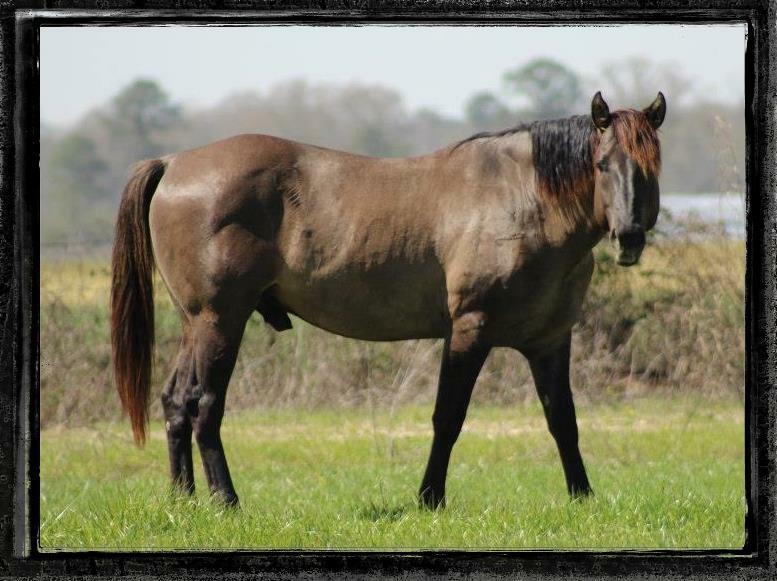 Swisher Hancock is a brown roan, click on his link to view pics of him. Pictured here at 15yrs old, one day after foaling. March 30th 2017. Pictured here at age 13.5, Feb 2016. Classy's family tree photo album of all the great ones! 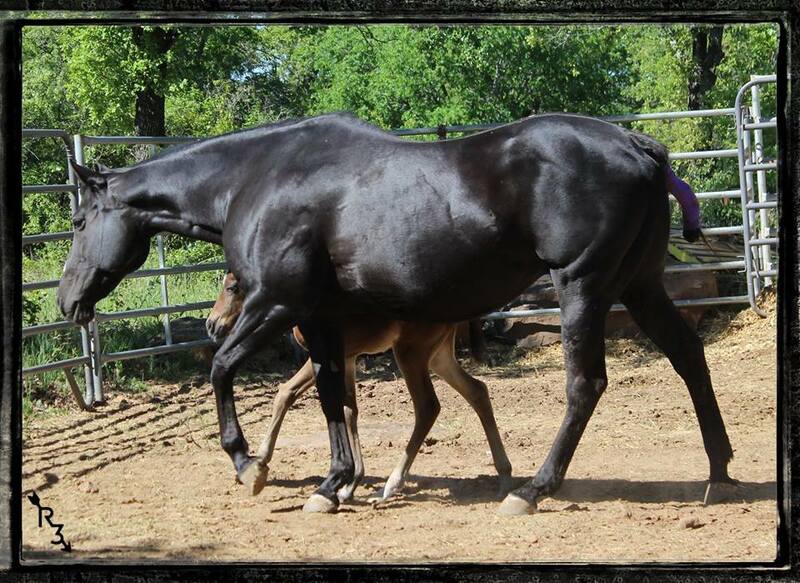 JUNEBUG is an exceptional mare that throws huge foals no matter who she is bred too. 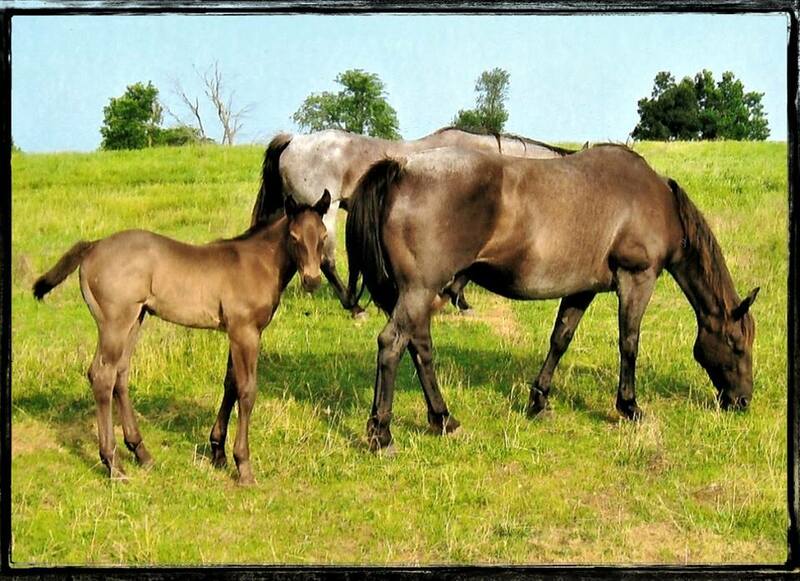 Her foals are consistant with tons of bone. 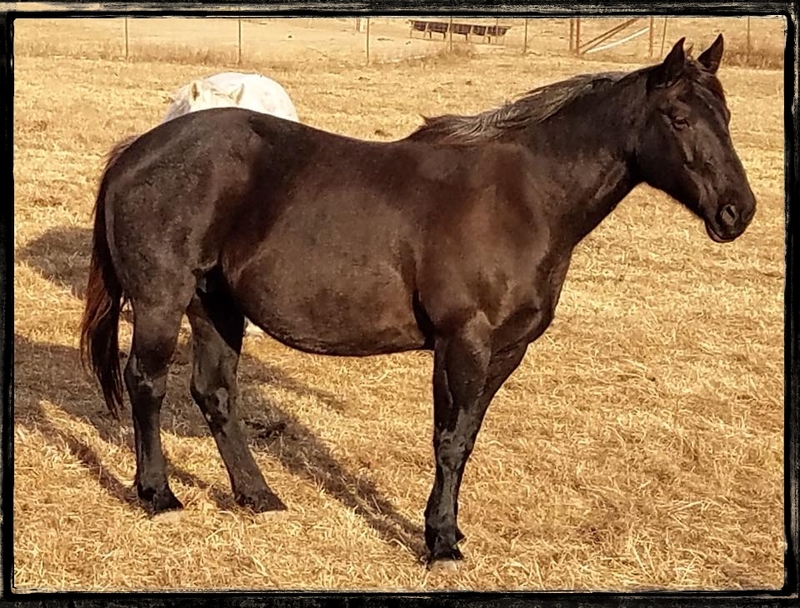 JUNEBUG is the dam to our upcoming filly, ROXILLA who carries more bone then any mare I have ever seen in person (update 2019: excluding our newest addition, BECKY who is HUGE)! 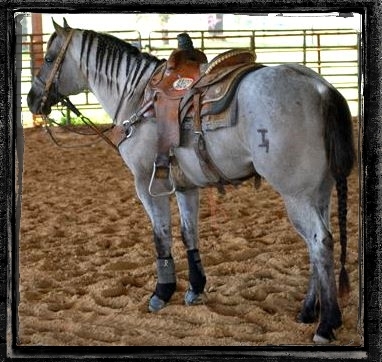 JUNEBUG's type of get will work great on a working cow horse ranch. I can sure see them pulling calf's to the branding fire. 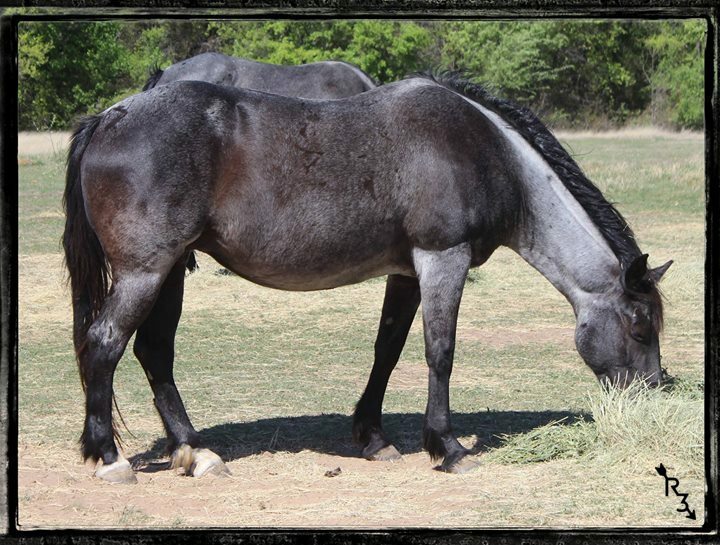 Pictured here at age 11 still in half her winter coat and heavy in foal. March of 2017. CLEO is my once in a lifetime mare. 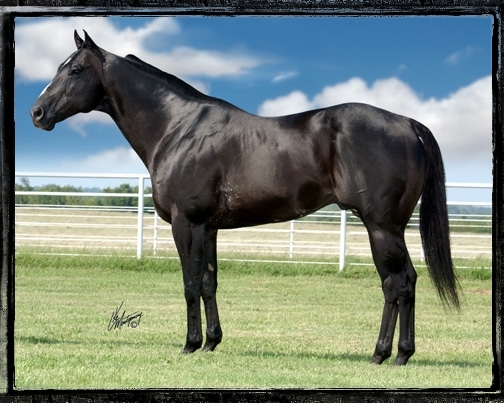 I purchased her as a weanling directly from James Birchfield who stood MR CLYDE HANCOCK. She is from MR CLYDE HANCOCK's last foal crop. We have this special bond, very hard to explain. She is very intelligent, easy to train and catty with her moves. Her trot is perfect, no posting needed to be comfortable. She is one of the most fun horses to ride I have ever experienced. She moves totally of leg pressure, no need for reins. My herd would be lost without her, she keeps everyone in place. I held back a colt out of her in 2016 as my personal project. He has the most carefree disposition I could hope for and looks like a mini CLEO as far as bull dog body type. I am currently showing him. 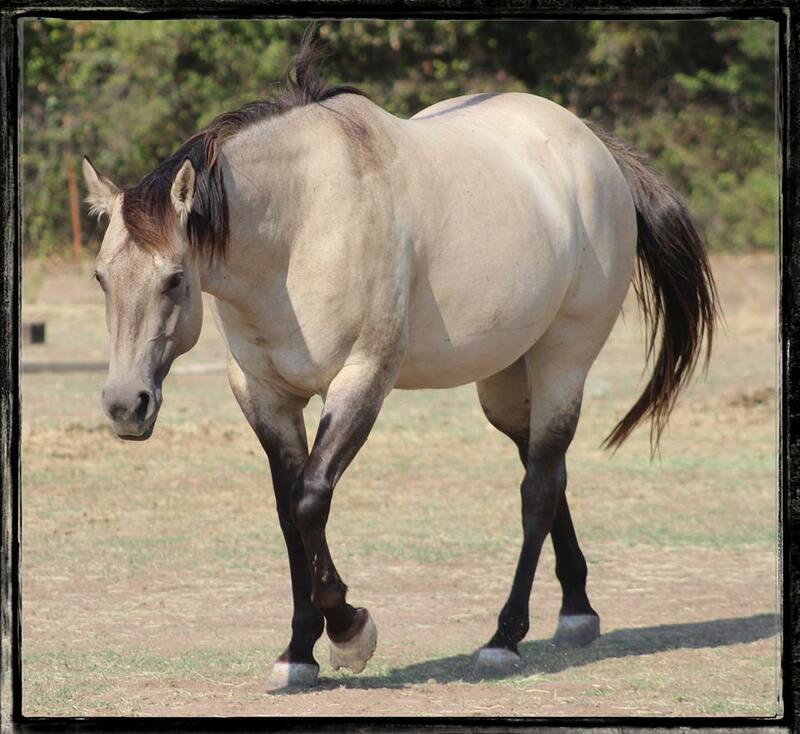 DEUCEE can be viewed on "our gelding" page. Cleo's FaceBook Photo Album #2, age seven on. Pictured here at age 6, 2013. Pictured here at the age of 8, 2015. Then 50% Chance will Gray out! 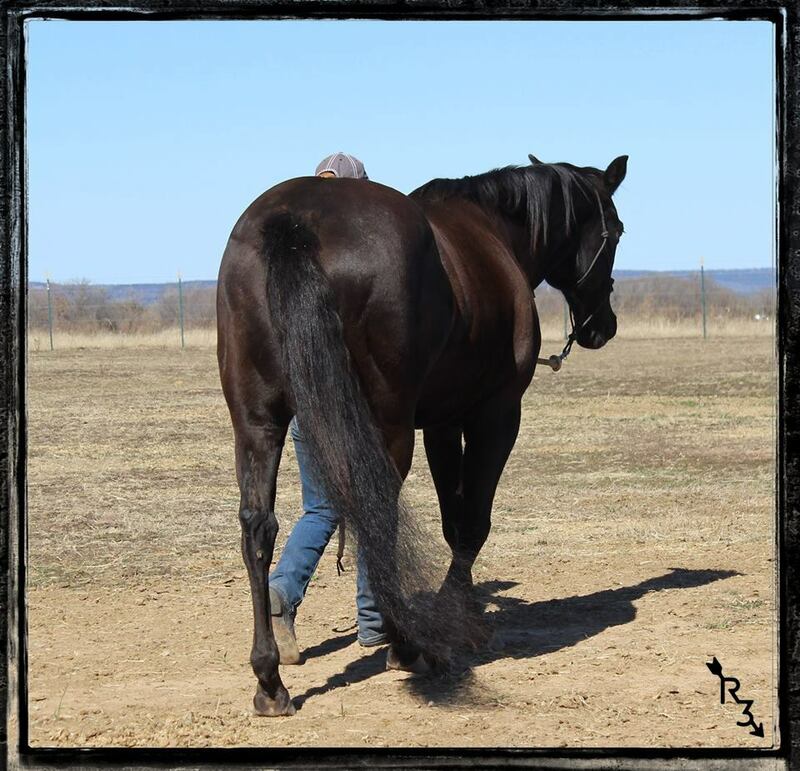 Her bottom line goes back to Robert Redford (Blue Roan Halter Champion), Zippo Pat Bars (AQHA Hall of Fame), Leo (Hall of Fame Racing Industry) and Three Bars (Hall of Fame Racing Industry). Carries one gray gene and one roan gene. Mr Clyde Hancock's FaceBook Photo Album, 8 photos! A BIG THANK YOU goes out to Sam Kamen for contacting me about BECKY. 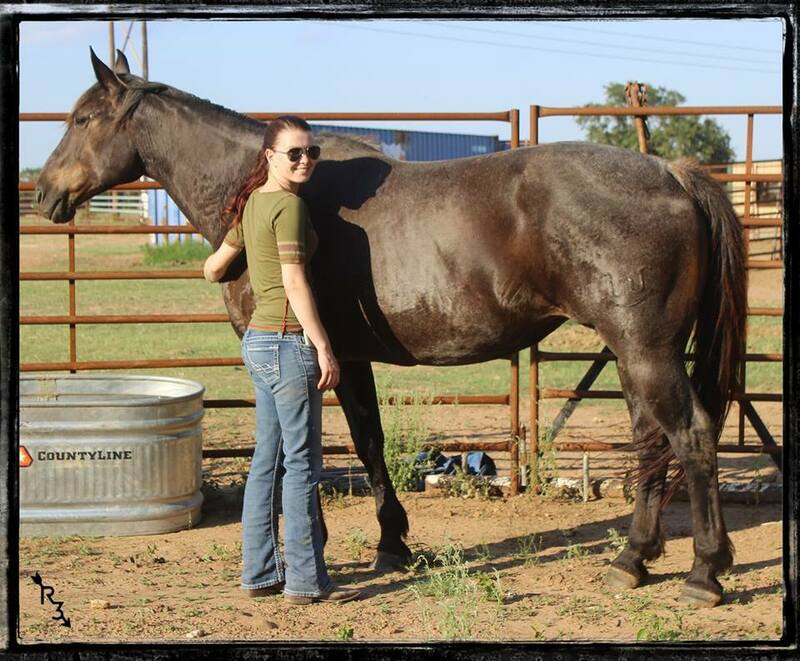 We were not looking for any more mares, but sometimes when one crosses your path as BECKY did, it just all fell into place as the right move. Sam said to me, BECKY is your type of mare and she couldn't have been more right! The more she told me about BECKY the more excited I got! 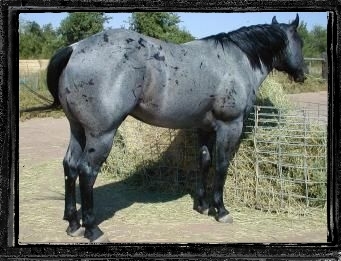 As some of you who follow us may remember, a few years ago we acquired a HANCOCKS BLUE BOY daughter in her early twenties. 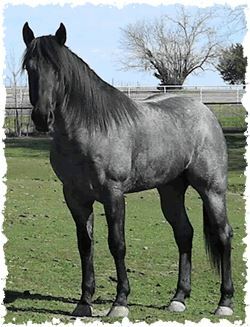 Her name was REBEKAK HANCOCK (Azul Caballo AmigoJr's dam). We saved her from ending up at a auction and took a chance on her, but due to several factors she was not breeding sound. We sent her to Robin Sewings to retire. The story I got was, she was suppose to be named REBEKAH HANCOCK, but AQHA messed up the name and it was never changed. 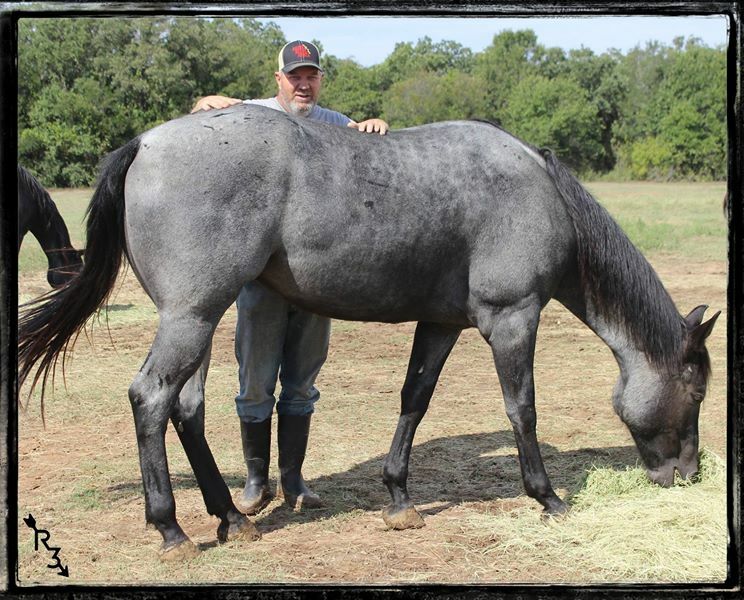 So, the next year BROKEN BONES CATTLE CO. named BECKY's dam REBEKAH HANCOCK (a HANCOCKS BLUE BOY daughter). To me that is was a sign that this mare was meant to end up with me. BECKY is triple bred HANCOCKS BLUE BOY making her a 50%er which in a way is equivalent to a HBB daughter. 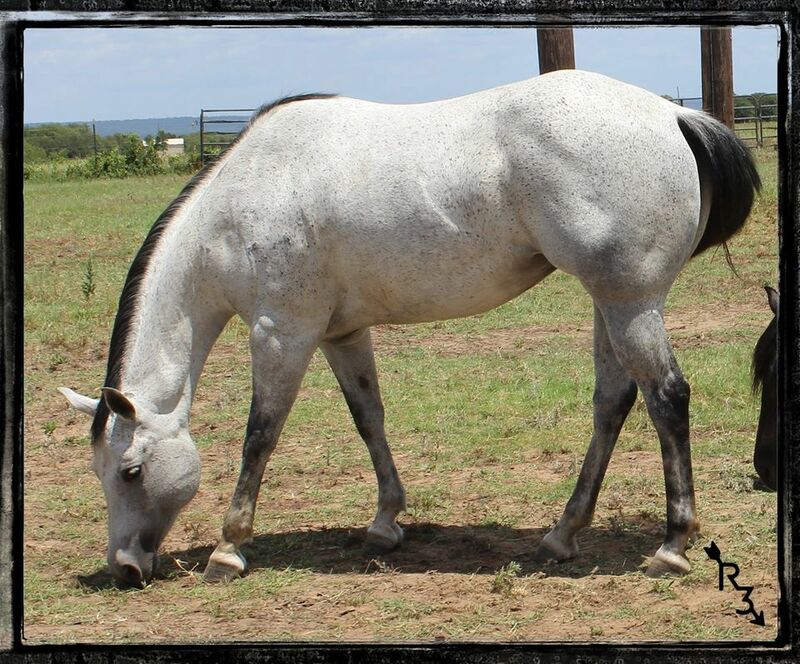 This mare carries the ole fashion size bone you will have a hard time finding today! We weighed her, she is 1500lbs! Pictured here at age 9, May 2018. Pictured here at age 7 in her winter coat. HEIDI is my personal riding mare. Her temperament is very laid back, she is bothered by very little. HEIDI has bone, height and a beautiful head. 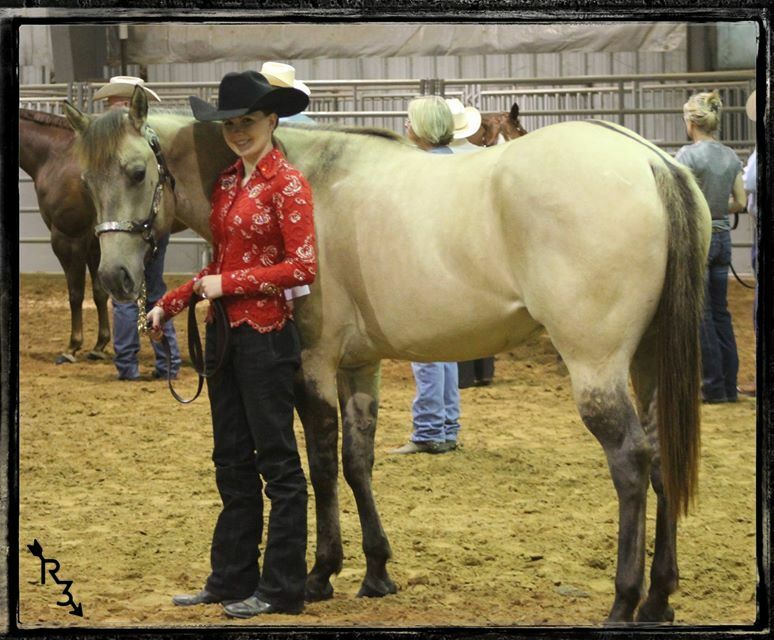 Tenn has rode her in a few Playdays where she ran barrels, poles and other events. She is athletic without the hot headedness. She has one of the best dispositions I could ever ask for. 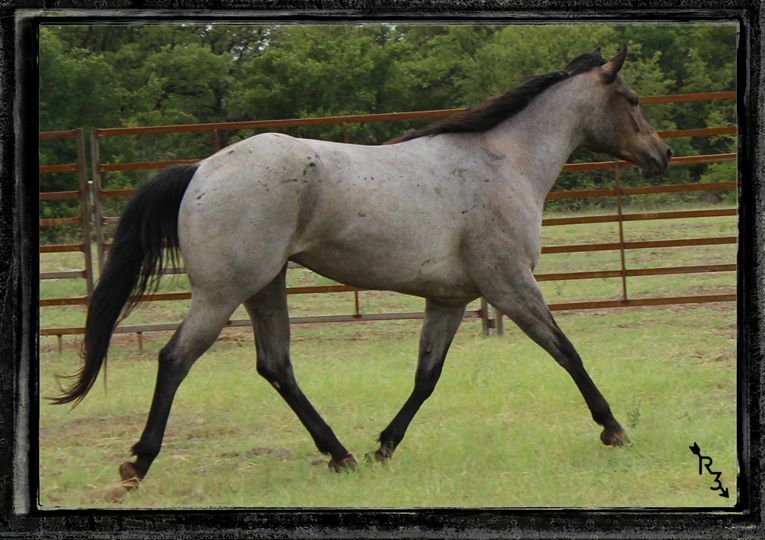 We purchased her as a weanling along with COWY who is 3 days younger. HEIDI was born broke, never offered to buck, bolt or rear. 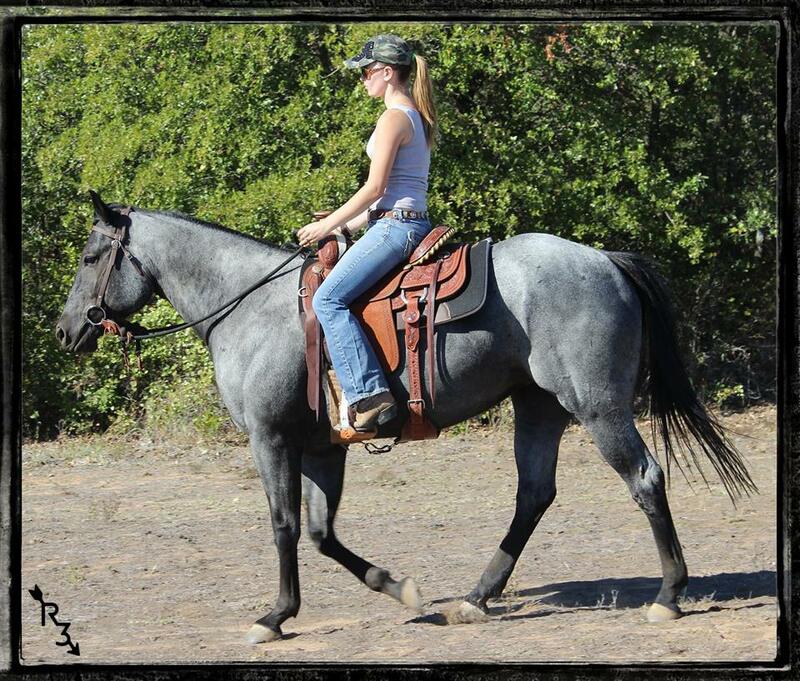 She is that horse you can relax on and rely on to get you through a ride with pleasure. Heidi's FaceBook Photo Album #1, birth through age three. Heidi's FaceBook Photo Album #2, age four on. Pictured here at age 2, in her winter coat. Dec 2012. Pictured here at age 4, October 2014. WYO Chuckkar's FaceBook Photo Album, 4 photos! COWY is my husbands personal riding mare. She has height and is extremely athletic. She is not lazy or fearful of new things. COWY enjoys leading out ahead and exploring on the trail. Her fascination for cows is uncanny. I see her get making team ropers and/or anything requiring precision. 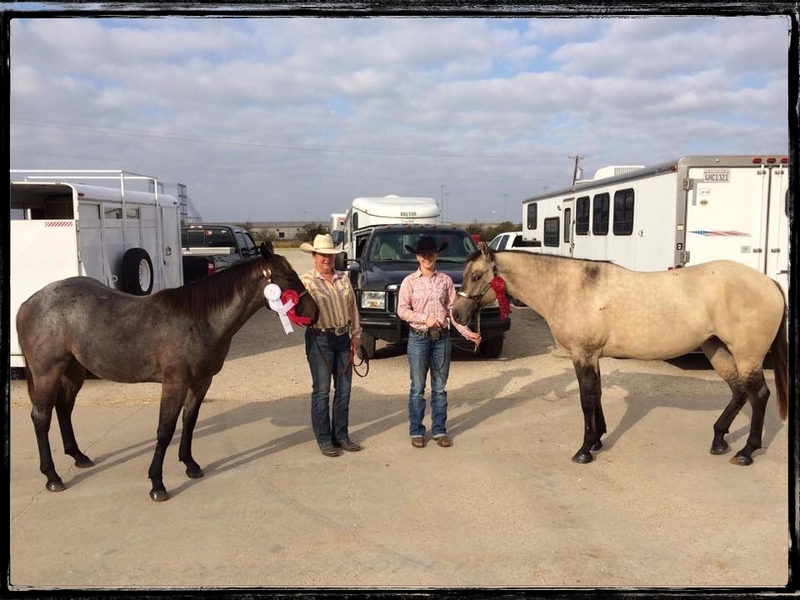 We purchased COWY as a weanling along with HEIDI who is 3 days older. Cowy's FaceBook Photo Album #1, birth through age three. Cowy's FaceBook Photo Album #2, age four and on. 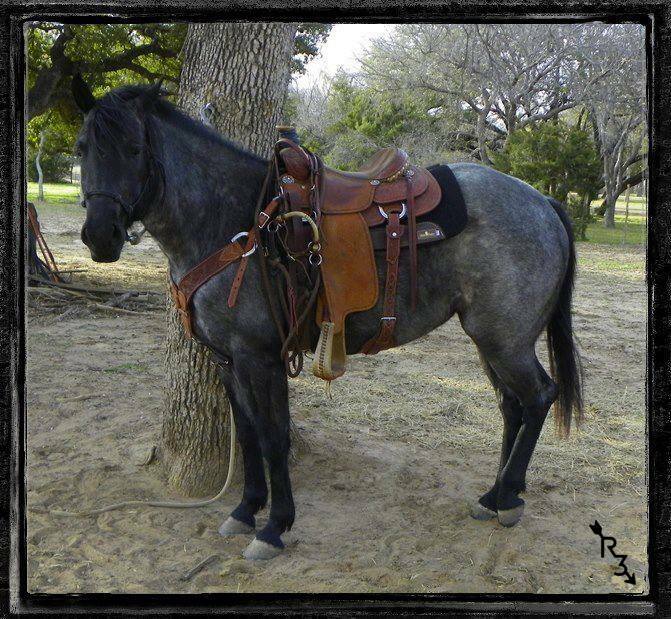 ~WYO Roan Advantage~ WYO Roan Advantage's FaceBook Photo Album, 13 photos! PIPER is the newest addition to our broodmare band, purchased at 2yrs old in Dec 2016. She is a beauty for sure. PIPER is very trusting and wants to be under thumb at all times. She would rather be with her humans more then her herd. We took PIPER to a few open shows in 2017! Pictured here at 3yrs old, 2017. Johnson County Open 4H Horse Show November 4th, 2017. Piper got 2nd Place 2-5yr old Halter Mares at 3yrs old. Chucker Blue Kid's FaceBook Photo Album, 3 photos! Roxilla is absolutely the most stunning mare I have ever seen! We knew this one had that "WOW" factor from the first time we viewed her at 2wks old. We acquired her dam "JUNEBUG" with her on momma's side. ROXY has an incredible amount of bone (above average), but don't let that fool you she also has speed! 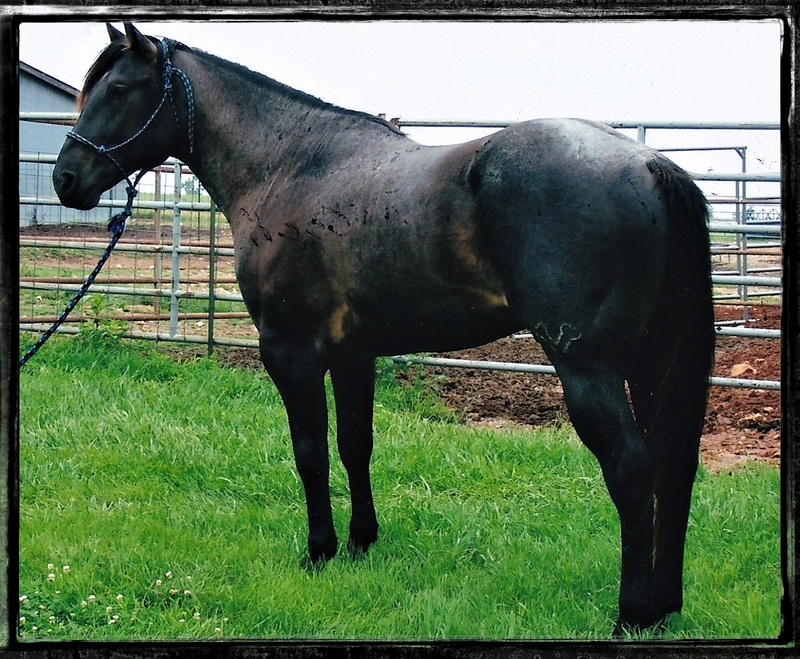 If you are looking for a horse that will make you look tiny in the saddle and that has the power to get 'er done, her get will be exceptional! Pictured here in Spring pre-shed coat at 22 months old, 2016. Pictured here in early Fall at 3 1/2yrs old, 2017. 15.63% Blue Kewpie Doll (full sibling to: Blues Beard and Blues Kingfisher. Plentyberry Ambrose's FaceBook Photo Album, 12 photos!